Columbia University Irving Medical Center's Facilities Customer Service Center plays a key role in supporting our community. The Customer Service Center relays customer requests and feedback to our Engineering and Operations teams to ensure that your issues are addressed in a timely manner. Each year, we receive more than 20,000 work orders, and the care and coordination of our staff are crucial to helping us resolve them. Urgent Issue in Our Facilities? Call Us. Report situations that pose a life safety or health hazard or may cause major property damage, such as floods and gas leaks, to us immediately at 212-305-HELP (4357), option 3. For fires, please call Public Safety at 212-305-7979 and 911. For Engineering-related emergencies after-hours, please call 646-988-8409. The Engineering supervisor on-call will provide assistance. For all non-urgent requests, please submit a work order (UNI login required). If this is not a routine custodial or maintenance request, your request may be chargeable; please have your ARC ChartString number on hand when you begin the work request process. To learn more about which requests are chargeable and non-chargeable, see A-Z Services and Rates. For customer service-related questions and concerns, please contact Walter Dodson, customer experience manager, at 212-304-6199 or wd2307@cumc.columbia.edu. After 5 p.m. on weekdays and 24 hours a day on weekends and University holidays, calls to 212-305-HELP (4357), option 3, are forwarded to Public Safety. We aim to continuously improve our service, and we appreciate your feedback. Take a minute to fill out our feedback form. 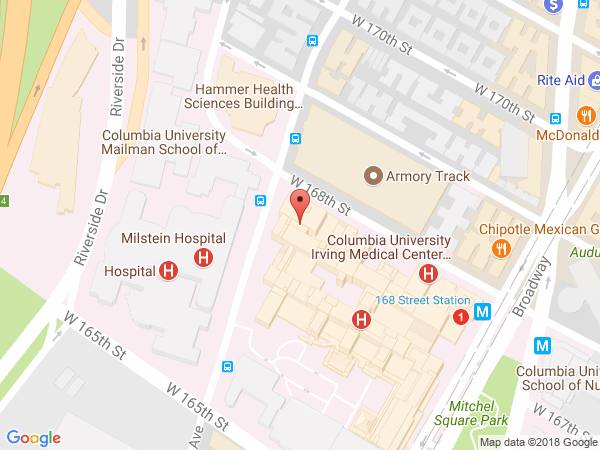 We are closed on all Columbia University Irving Medical Center-designated holidays.